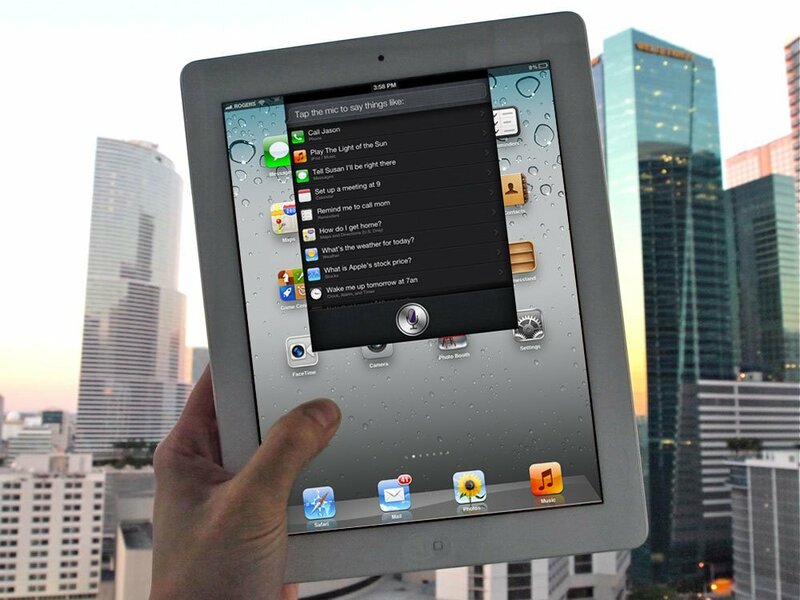 If you've been waiting for Siri on the iPad as much as we have, you'll be happy to hear that Apple's voice-activated virtual assistant should make its way to the iPad at the expected iOS 6 announcement at WWDC 2012 this week. Rumor has it that everything except the phone functions will be available, including music handling, calendar assistance, reminder integration, web search, and all of the other wonderful stuff you'd expect from Siri. The layout will apparently be a little bit different, given the screen size. The Siri icon will apparently slide up from the bottom followed by a pop-up window overlaying your current screen. On the downside, it's likely that only the new iPad will be eligible for the new feature. The source of this rumor brushed off any notion that Siri depended on a particular microphone in order to work properly, which is good news for those with new iPads, but that also serves as a painful reminder of Apple's leaning towards force obsolescence. Yeah, they have to keep selling iStuff, but it sure would be nice if they offered better support for early adopters when it comes to cool features like Siri. Siri made its first baby steps into the tablet world with the new iPad's dictation engine, though it was a far cry from the full-blown virtual assistant introduced on the iPhone 4S. One would hope that Siri would be able to graduate from beta status before finding its way onto the iPad, especially if the celebrity ads are vastly misrepresenting its capabilities. We've heard that Siri would be coming to the iPad before, so it's good to have the rumor doubly confirmed, especially right before WWDC 2012. Have any of you really been itching to get Siri on your iPad? Is it something you use regularly, or just a fun gimmick? How stung would you be if Siri wasn't made available for the iPad 2? Is the voice recognition quality good enough to be a serious concern at all right now?